I just caught wind of this EPIC competition on Twitter yesterday and thought I would spread the word with all of you guys and dolls that love winning things! 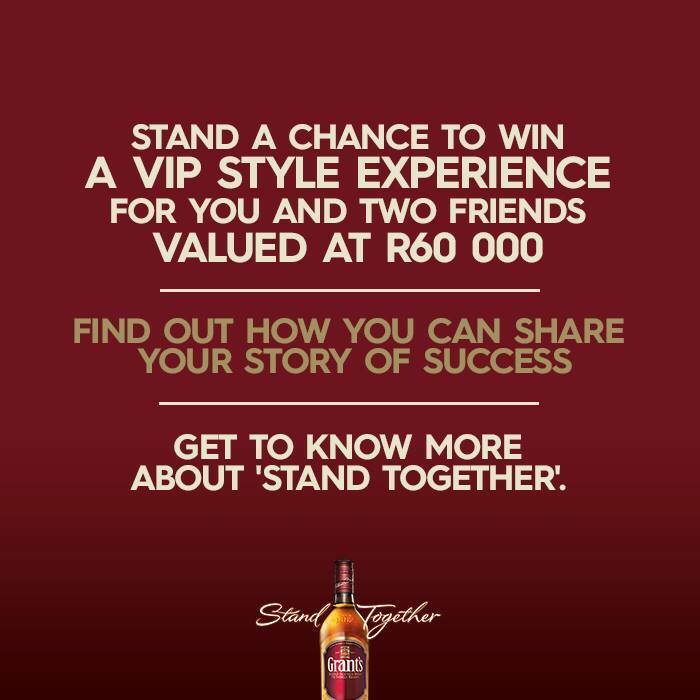 Keep reading to see how to WIN a R60,000 experience with Grant’s Whisky for you and two of your besties. 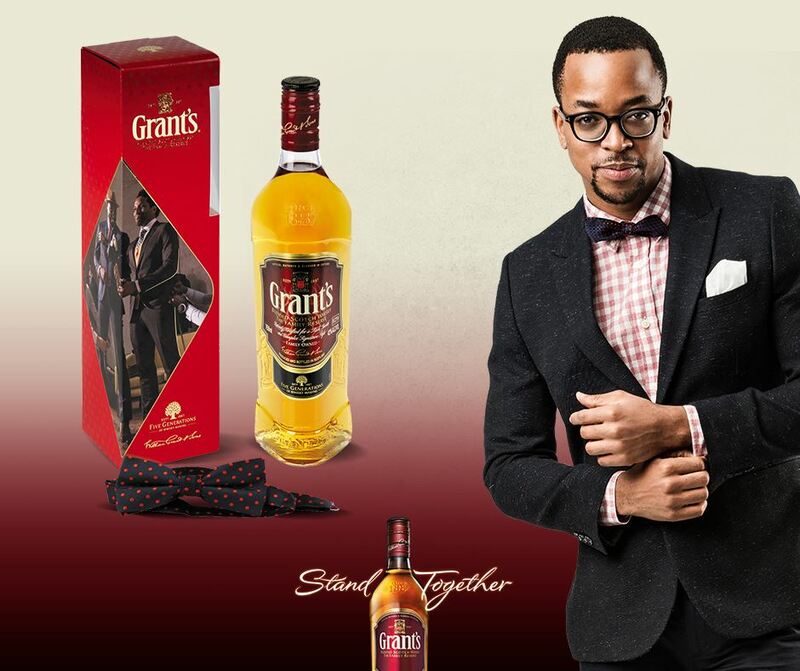 Grant’s believes in sharing your success, sharing a toast and standing together. The concept ‘Stand Together’, is simply about acknowledging the people who have inspired you and helped you on your journey to success. ‘Shared Success’ is a component of standing together, and is how you share success with others in your life. Masego “Maps” Maponyane, better known as Maps shot to fame by gracing magazine ad campaigns, acting in films and local series, as well as having designed his own clothing range with Augustine called, OCD. To top it all off the he has been voted second best dressed man by GQ and Cosmopolitan’s ‘sexiest man’ of 2013. Despite having achieved fame relatively early on in life, Maps is well grounded and believes that those who are close to you are the reason you will achieve success. He believes in working with others and creating jobs, he has done this through his clothing range. One lucky Grant’s fan will have the opportunity to celebrate their success in true style, with a VIP style experience with Maps and two of their close friends. The winners will go on a personal shopping tour and be styled by none other than Maps himself, all worth R60 000. This includes a chauffeur-driven limousine for the day, and enjoying a VIP night out on the town, at a high-end club where they will proceed to a cordoned off VIP area. Here they will enjoy personal service, drinks and snacks at their leisure with Maps. 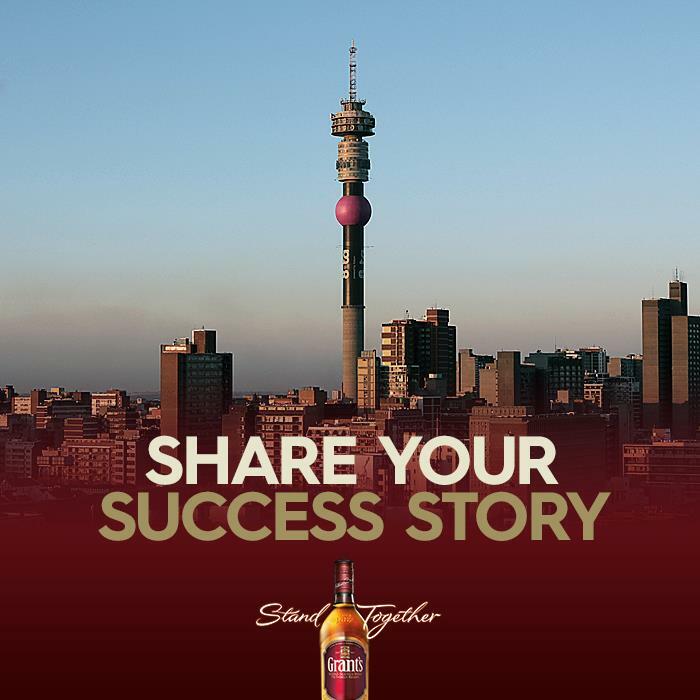 To participate in the ‘Shared Success’ competition, Grant’s fans simply need to upload their story of shared success on the Grant’s website. They can also ask friends to vote for their shared success story, and sharing it on social media. As an example of a shared success story, Maps credits his accomplishments to his father, whom he describes as his role model. Which gives testament to the ‘Stand Together’ motto: Success Tastes Better Shared. I’m a single 48yr old lady,I’ve never been married but had a son who passed away at the age of 7yrs old. 2yrs ago I met a wonderful man whom I accepted to marry for the 1st time, sadly he passed away 5months before our wedding date, 6months after I’ve lost the most important,precious person in my life: my Mom, I was devastated, its taken me a while to accept the trauma in my life But through the Grace of God I’ve found acceptance and peace! I’ve never had counseling not taken any medication,I’ve simply put my trust in God!